SL Video: Becky Shamen's "Cosmic Pole 11"
Draxtor Despres at "Feed a Smile"
SL Video: "The Blake Sea Triangle"
SL Video: "The Show Must Go On! 2007 - Part 2"
Second Life is a big place, and the Lindens can't be everywhere at once when it comes to troublemakers such as griefers. Fortunately there's a group which can help residents deal with them, the Green Lanterns. Led by Greenlantern Excelsior (Hal Jordan), they act as a kind of "neighborhood watch," informing the Lab about the griefers so they can be dealt with. 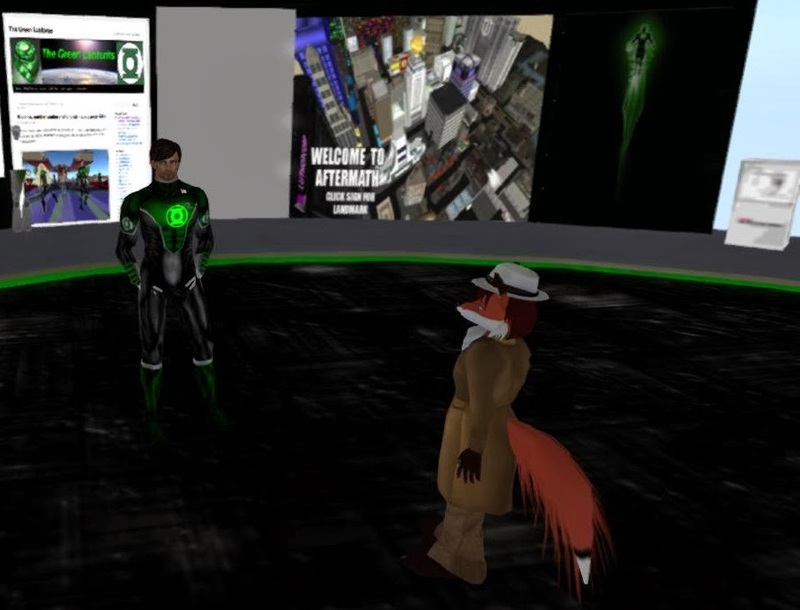 Recently I met up with Greenlantern, and he talked a little about his group and what it does.